I like succulents. They are so unfussy to grow and fun to propagate. I'm always on the lookout for cuttings and have pots of baby succulents hidden all over the garden. This project was a perfect way for me to get them potted up and looking great - and brighten up a boring side garden at the same time. Succulents are well suited to hanging pots as you don't need to water them very often and, even when they're not flowering, the foliage is interesting. 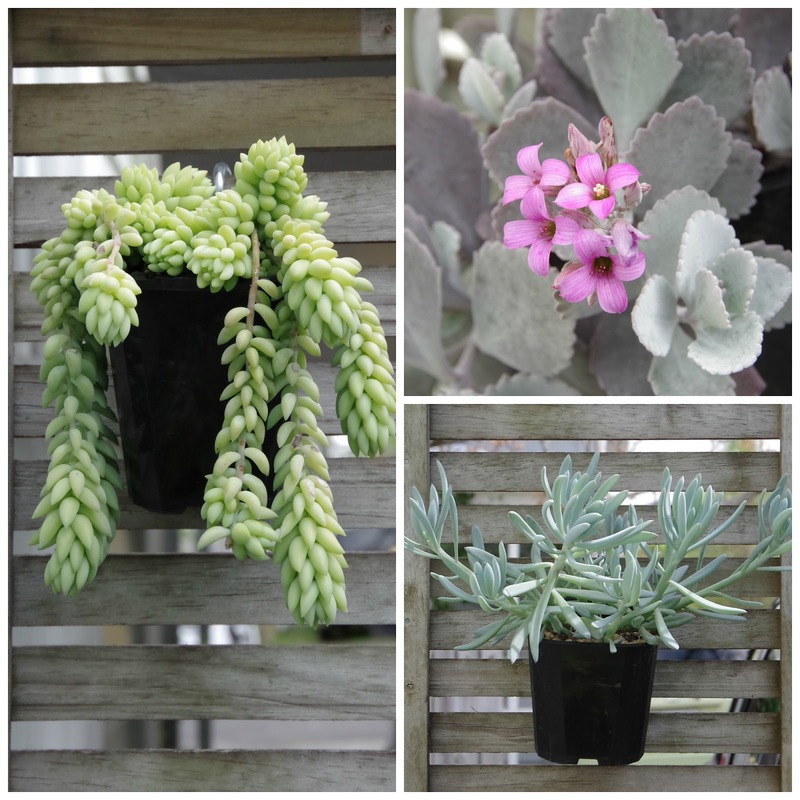 For hanging pots I think the trailing ones look best - like the burro tail (photo top left). You could also try jellybean or baby's necklace. Or a small-leafed ivy if you're not a fan of the succulent. Punch a hole in the centre of one side of your pot. Add some drainage material to the bottom of the pot. Add potting mix and pot up your plant. 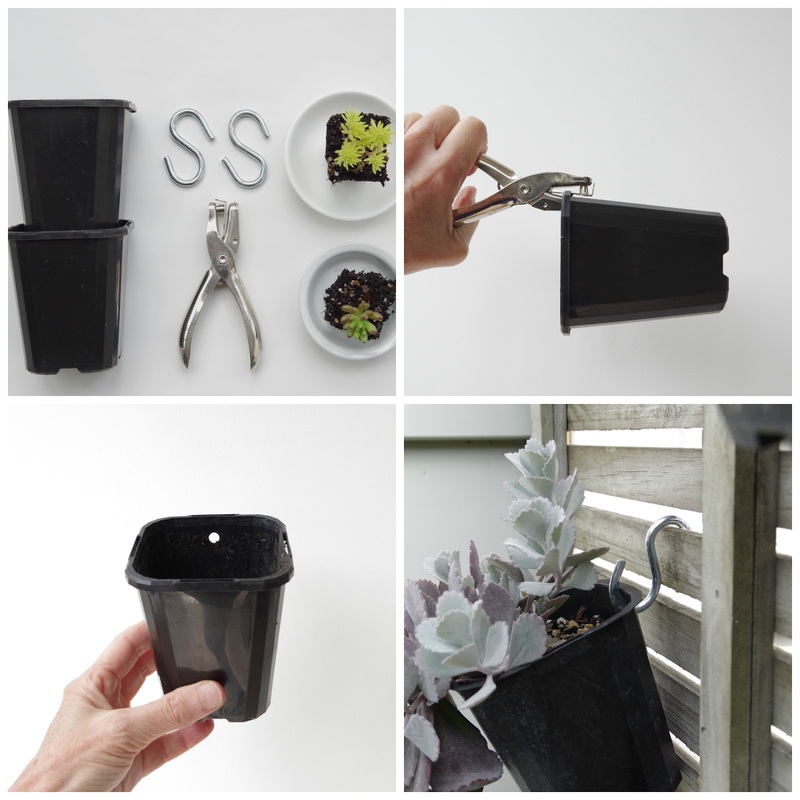 Poke the hook through the hole and attach to your trellis or fence. If you're in need of plants or inspiration the Auckland branch of the Cactus and Succulent Society of NZ are holding their biennial show and sale from 4-6 November. There is usually an amazing display of weird plants and bargains to be had. See you there.